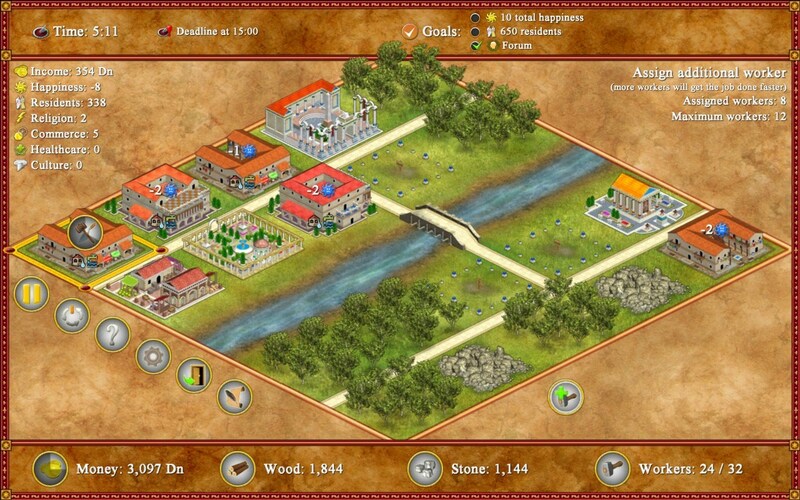 Construct an idyllic ancient Roman city with plenty of houses and keep your residents happy by providing all the services they need. 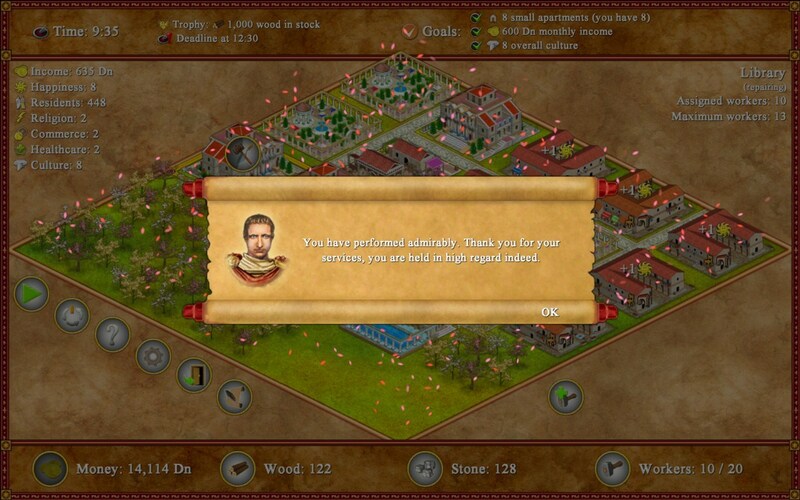 You'll be rewarded with money, fame and honor. 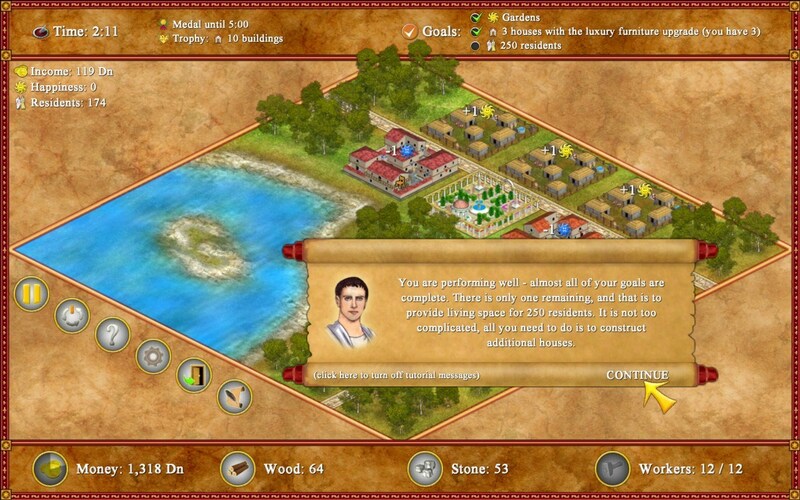 It's up to you how to play - you can work your way to the top in the comprehensive campaign mode or you can create and play your own custom scenarios. 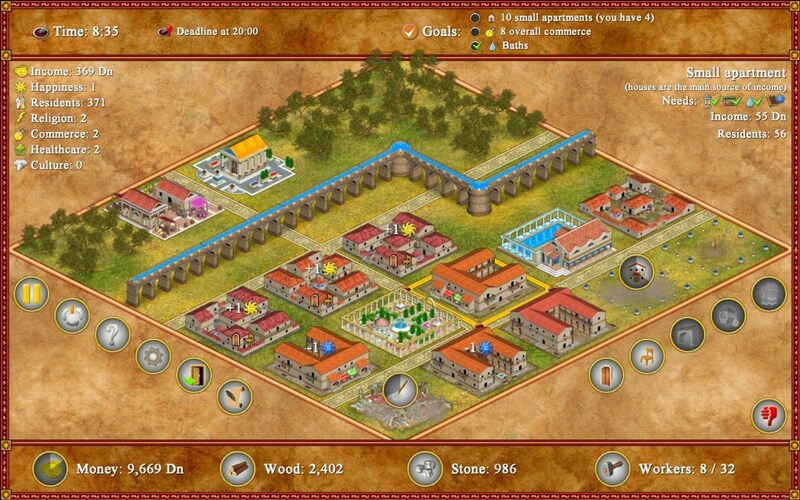 Build dozens of Roman-styled houses, structures and other buildings. Trophies and awards available for the meticulous gamer! 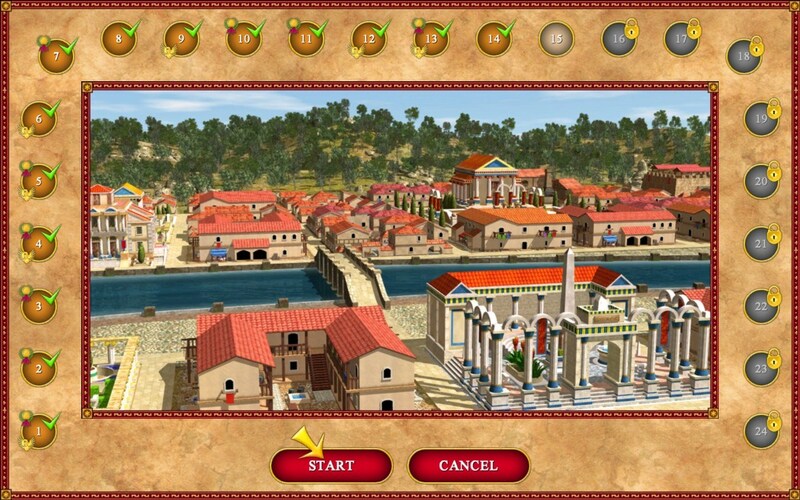 Construct an idyllic ancient Roman city. 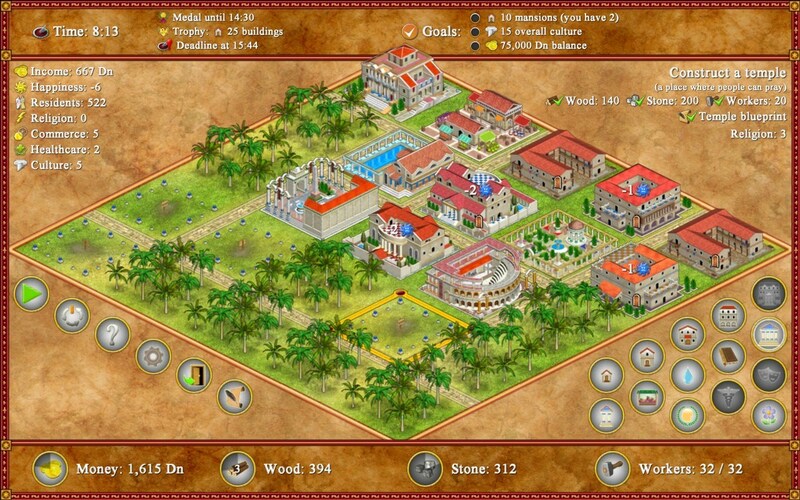 Build dozens of Roman-styled houses, structures and other buildings. 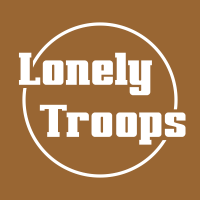 Win trophies and awards in 24 unique campaign scenarios. Play your own custom scenarios. Reach up to 22 achievements.